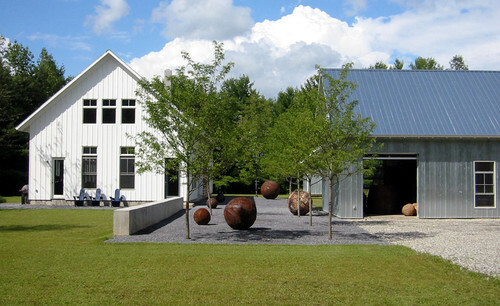 Bring home the modern farmhouse aesthetic by adding bold neutrals, wood, gravel and sculptural trees to create a modern-rustic ambiance in your outdoor space. This tasting menu of design ideas will help bring the sophistication of modern architecture and the cozy comfort of the countryside to your garden. Read more at Houzz.